Clients appreciate my consultative real estate approach and lean on my 30 years of industry experience. As an executive vice president, I lead Colliers International’s Chicago-based, five-member retail investment practice group. Our team, who has a combined 40+ years of industry experience, advises retail property investors in the acquisition and disposition of single tenant net lease investments and multi-tenant shopping centers. I serve as the chairman of Colliers NNN investment practice and have transacted record-setting sales in Chicago, Philadelphia and Washington D.C. Prior to joining Colliers, I spent nearly a decade at both Cushman & Wakefield and Insignia/CBRE. My hobby is cooking, and for three years I have created recipes on my food blog, Feed Your Soul Too. Speaker at numerous events including Real Share Net Lease Forum, the Chicago Bar Association, CoreNet Global functions, Midwest Forum, Bisnow, and John Marshall Law School. 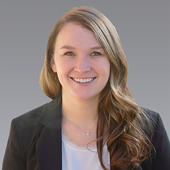 Kate is a project coordinator with the Colliers International | Chicago Retail Investment Services Group. In addition to handling many aspects of client relations including transaction management, Kate is responsible for the coordination of marketing materials, sales proposals, PSA due diligence, and various other deliverables to help the team gain new business. Kate also handles research and organizes and manages the group’s various social media platforms including the team’s proprietary website, Facebook and twitter accounts. Kate is a recent graduate of the University of Alabama where she majored in Finance and specialized in Real Estate. Prior to joining Colliers, Kate worked as a marketing coordinator for a Real Estate in Atlanta. Additionally, she has worked for a Real Estate law firm tracking documents and attending sales closing. 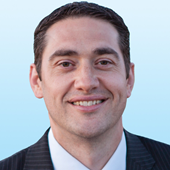 Christian is an Associate with Colliers International’s Chicago-based Net Lease Investment team. Led by industry veteran Peter Block, the team assists clients across the country in the disposition and acquisition of single-tenant retail assets. In addition to general sales and canvassing activities, Christian’s primary focus is properties within the YUM! Brands portfolio including Taco Bell, Pizza Hut and KFC. A trusted advisor for the restaurant industry, Christian and his team have been enlisted to assist various companies, franchise to corporate, in their real estate strategy as a guide to overall financial stability. Joseph is a Vice President with the Colliers International | Net Lease Investments Group, "The Restaurant Experts". He is based in Boise, Idaho and his specialty is advising in the acquisition and disposition of restaurant focused single tenant net lease investments throughout the western United States. Joseph, is a 15+ year industry veteran with experience that includes over a billion dollars of real estate across 29 states, 200+ properties, 5MM+ square feet, hundreds of acres and all major property types. 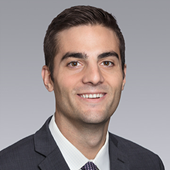 His experience includes 5+ years in corporate acquisitions and due diligence, 5+ years in corporate asset management and dispositions, and 5+ years in brokerage and consulting. 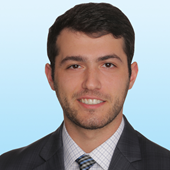 Seth is an Associate with Colliers International’s Chicago-based Net Lease Investment team. Led by industry veteran Peter Block, the team assists clients across the country in the disposition and acquisition of single-tenant retail assets. In addition to general sales and canvassing activities, Seth and his team have been enlisted to assist various companies, franchise to corporate, in their real estate strategy as a guide to overall financial stability.